Authored by the National Statistics and Information Authority (NSIA) of Afghanistan in collaboration with OPHI, this Report was published in March 2019. 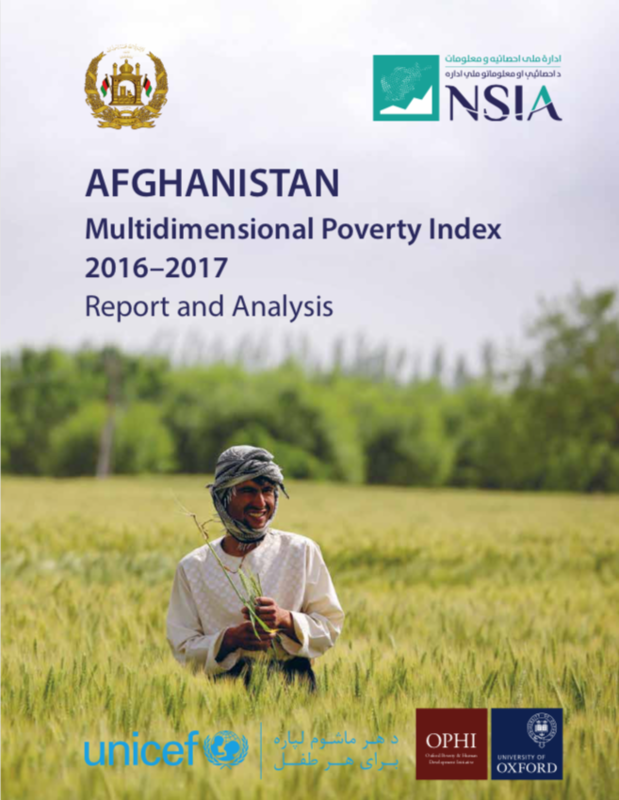 It presents the new, official, Afghanistan Multidimensional Poverty Index (A-MPI) which aims to help the policy makers to coordinate the programmes that seek to reduce different forms of poverty. Read more and download the report and the accompanying trifold here. 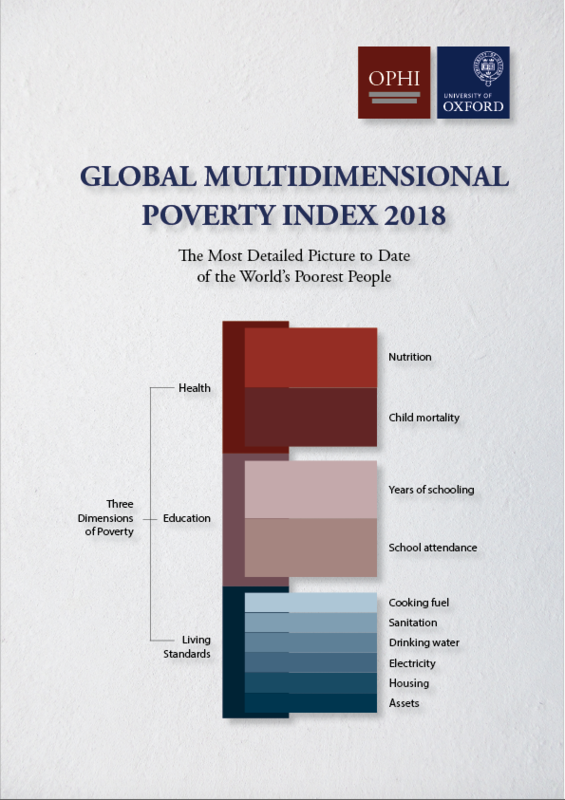 The Global Multidimensional Poverty Index Report: The Most Detailed Picture to Date of the World’s Poorest People presents the revised global MPI index which was launched jointly by OPHI and UNDP in September 2018. Read more, and download the report, here. This report is a joint product of the Central Bureau of Statistics of Nepal and OPHI. 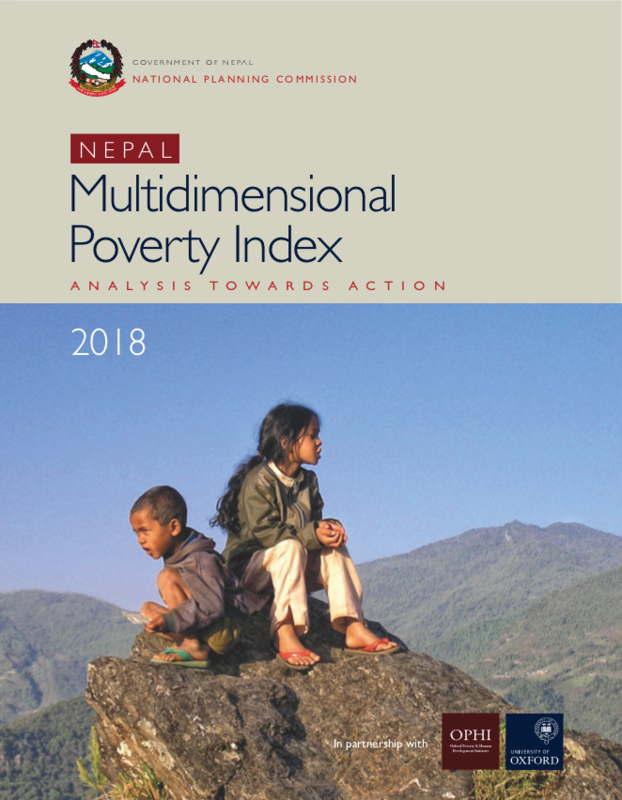 It presents Nepal’s official national Multidimensional Poverty Index (MPI) based on Multiple Indicator Cluster Survey (MICS) 2014. 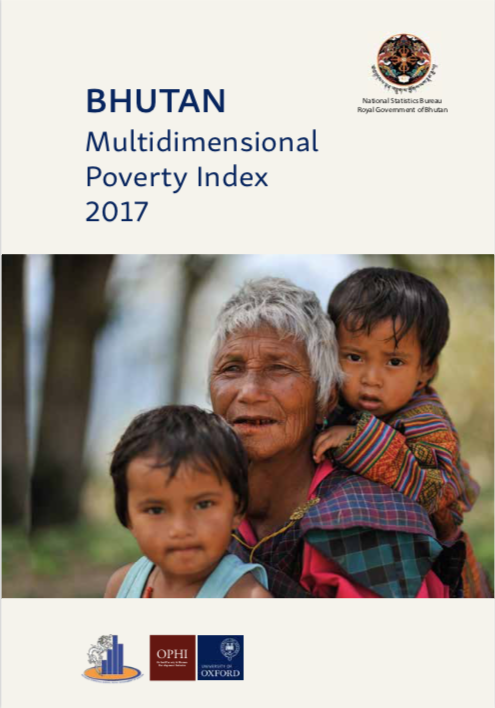 This report provides an overview of the multidimensional poverty in Bhutan based on the data from the Bhutan Living Standards Survey (BLSS) 2017. 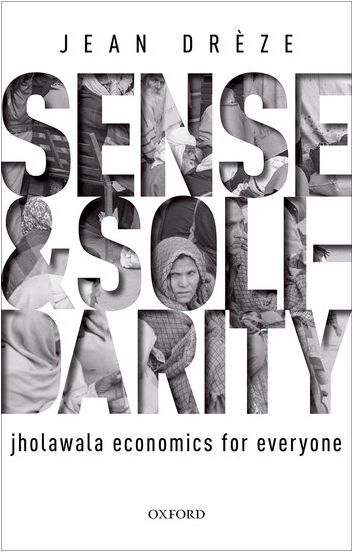 ‘Economics among the Road Scholars’ is the first chapter of Jean Drèze’s book Sense and Solidarity: Jholawala Economics for Everyone (2017). Read more, and download the chapter, here. The full book, published by Oxford University Press, is available as an open access title under the terms of a CC BY-NC-ND 4.0 licence and free to download from the publisher’s website and here. 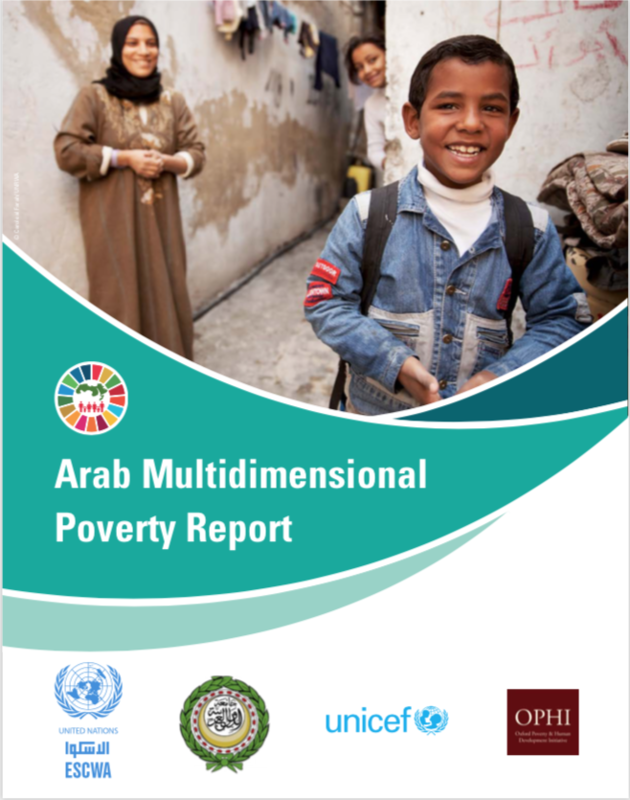 This report, based on dataset drawn from national surveys on family and child health, assesses multidimensional poverty in the Arab region as part of the preparation for the implementation of the SDGs. The Report is available both in English and in Arabic. Based on Multidimensional Poverty Index (MPI) developed by OPHI in collaboration with the HDRO–UNDP. 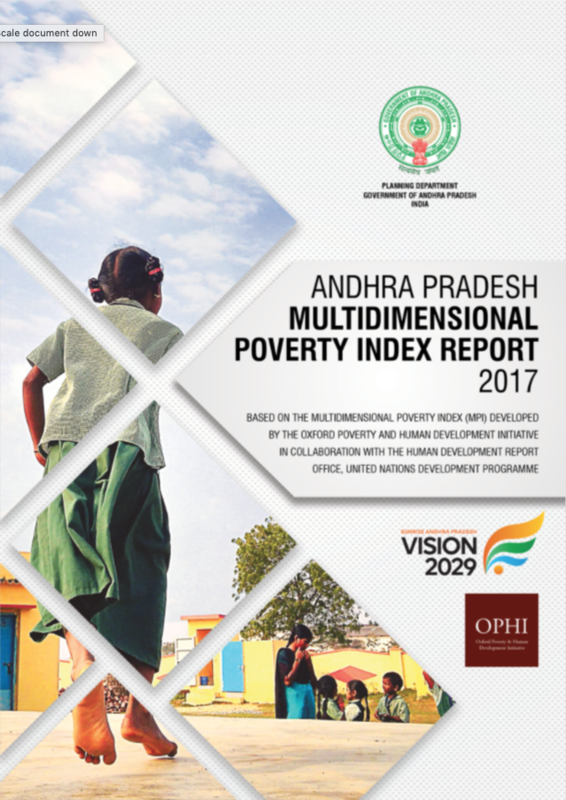 This report provides infographics describing the MPI constructed for Andhra Pradesh. Find out more, and download the report, here. 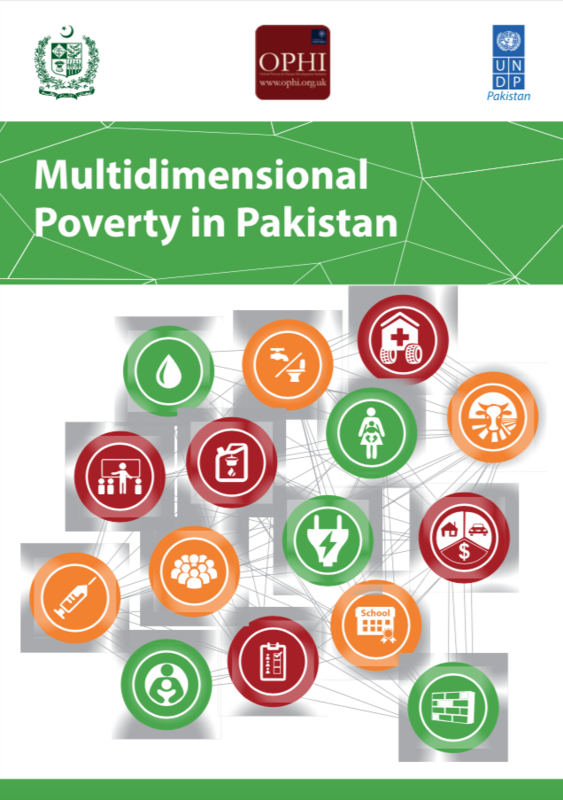 This report presents the first official national Multidimensional Poverty Index (MPI) for Pakistan. It was co-authored by OPHI and UNDP-Pakistan and published in 2016. The report marks the first time that estimates of multidimensional poverty in Pakistan have been provided at the national, provincial and district levels. Moreover, it includes the trend analysis of multidimensional poverty in Pakistan between 2004 and 2015. Built using the PSLM datasets, the MPI for Pakistan has been estimated for every two-year period since 2004/5, and can be disaggregated by both provincial and district level. 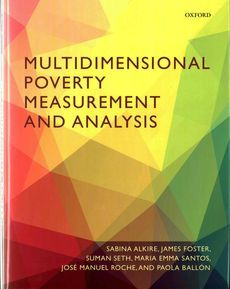 Multidimensional Poverty Measurement and Analysis by Sabina Alkire, James Foster, Suman Seth, Maria Emma Santos, José Manuel Roche and Paola Ballon, is an in-depth and precise account of multidimensional measurement. It is aimed at graduate students in quantitative social sciences, researchers of poverty measurement, and technical staff in governments and international agencies who create multidimensional poverty measures. The book was published by Oxford University Press in 2015. 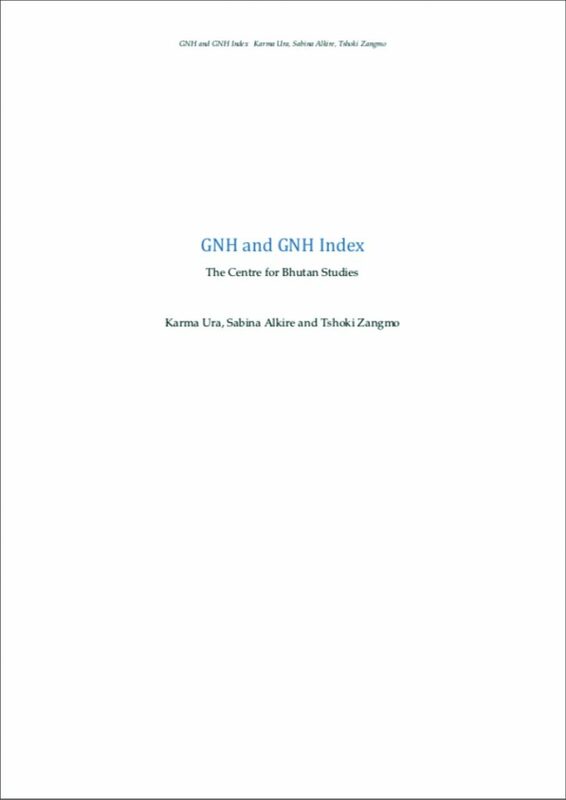 An Extensive Analysis of GNH Index (2012) presents and analyses the 2010 Gross National Happiness (GNH) Index that was developed at the Centre for Bhutan Studies for the Royal Government of Bhutan. This guide, published in 2012, introduces the 2010 Gross National Happiness (GNH) Index of Bhutan. 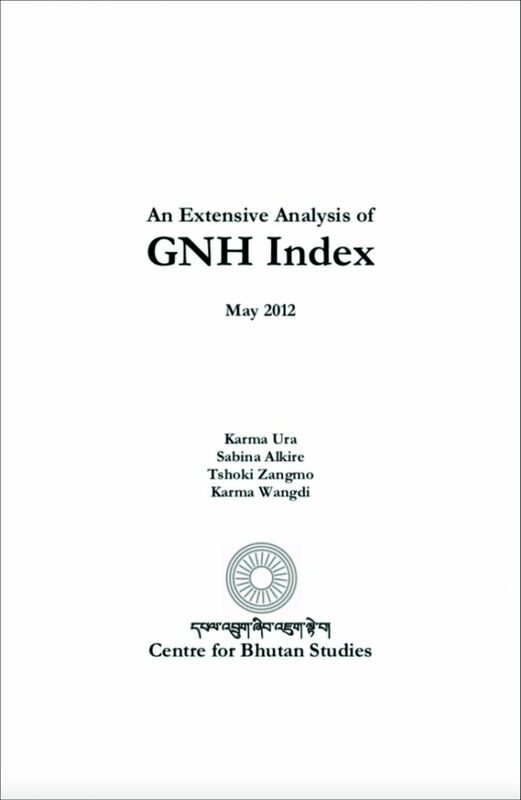 It explains the origins of the concept of GNH, its grounding in Bhutanese culture and history, and describes how the concept is being operationalised in the form of the GNH Index in some novel and innovative ways. The Index draws on 2010 GNH survey. Find out more, and download the guide, here.